They won’t speak publicly about winning four in a row, but it’s in the background, teasing and tantalising the Dublin squad as they head for their first game of the championship without a safety harness attached. It was there for the Leinster championship where, short of opponents carrying tranquilising darts, there was no chance of a Dublin fall. With two of the four in the ‘Super 8s’ groups qualifying for the semi-finals, there was also some room for error. It wasn’t needed once Dublin beat Donegal in the first round. Even if they lost second time out against Tyrone, they knew they would beat Roscommon by as much as scoring difference might require to steer them into the semi-finals. They didn’t need to worry about that as they beat Tyrone in Omagh, so last Sunday was no more than a chance to work through some details in a stress-free environment. The occasion even provided an opportunity for Bernard Brogan to re-acquaint himself with the inter-county tempo after recovering from a cruciate ligament injury. With Dublin guaranteed to top the group, Jim Gavin was in the happy position of being able to use a championship game in August as a work-out, a luxury never previously possible for a manager. It’s not exactly the sort of leisurely stop-off point one might expect on a four-in-a-row trek, but then things are a whole lot different now, certainly by comparison with previous teams who found themselves in a similar position to Dublin. Seven tried but only three succeeded in completing the four-timer, underlining how difficult it has always proven. Wexford 1915-18, Kerry 1929-32 and 1978-81 are the only teams to have achieved it. Dublin failed three times (1900-1909-1924), Kerry didn’t make it in 1942 or 1987, while Galway’s bid ended at the first fence when they were well beaten by Mayo in the 1967 Connacht semi-final. If success is the sole criteria by which teams from different eras are compared, then Dublin have overtaken ‘Heffo’s Heroes’, the group generally recognised as having re-energised football in the capital in the 1970s. They did it during the most intense era in the history of the Kerry-Dublin rivalry, when the balance of power fluctuated. It leaned towards Kerry initially, then swayed Dublin’s way before returning in the Kingdom’s direction, where it remained for many years. Kerry completed the four-timer, during that era, something Dublin would now love to emulate. If they succeed, it will inevitably begin a winter of comparisons between Gavin’s men and Micko’s men, who swept all before them in 1978-81. Even if Dublin win this year, they will still have a long way to go match the achievements of Kerry, who, after losing out in 1982 and 1983, completed another treble in 1984-85-86. Comparisons can only be made on the basis of what has been achieved, which means that Kerry’s 1984-85-86 treble has to be ignored when assessing them alongside Dublin now. Nor should we forget the previous four-time winners, even though they were from very different times. That doesn’t mean that such consistent success came easily. The only valid way of comparing which achievements were the most noteworthy is to place them in the context of their time, with particular reference to the prevailing standards and the opposition they encountered. Since this year marks the 100th anniversary of Wexford’s four in a row, it’s obviously very hard to gauge their standards and indeed how good the opposition were. This was an era of massive political upheaval in the country, with many teams weakened for a variety of reasons, including players being in prison. Kerry’s four-timer in 1929-32 was achieved with 14 straight wins, one less than in 1978-81. If Dublin join the very exclusive four-in-a-row club, the detailed comparison will be with Kerry 1978-81 who, up to now at least, have been regarded as the best team in football history. There are many who will always hold that view, but there’s no doubt that Dublin are building a solid case too. They are chasing their sixth All-Ireland title in eight seasons, having also won five of the last six Allianz Leagues. So how do modern-day Dublin compare with Kerry 1978-81? Fifteen successive wins were enough for Kerry to take four All-Irelands, whereas Dublin are only at the semi-final stage in their four-timer search, despite having won 24 and drawn two of 26 games. 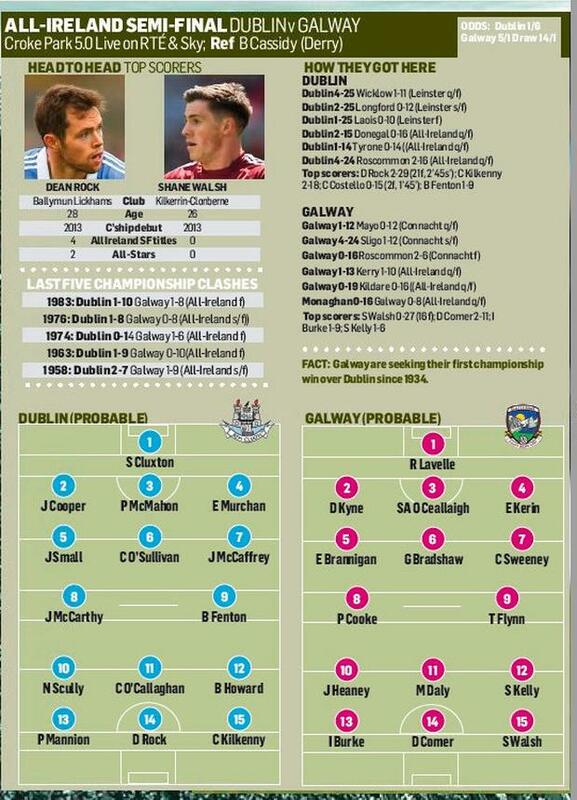 So how do the current Dublin team compare with Kerry 1978-81 in terms of the standard of opposition? The demise of Leinster as a competitive entity is one of the most worrying aspects of modern-day GAA. Dublin are possibly on an all-time high, but instead of that being a disadvantage for the rest of the province, it should be a motivating force. Other than Dublin, no Leinster team have reached the All-Ireland semi-final since Kildare in 2010. That has nothing to do with Dublin’s dominance, since the qualifiers provides a second route, which the other counties have been unable to exploit. It leaves Dublin controlling the largest but weakest province, which is a significant advantage. Contrast that with Mayo, who have run Dublin closest for several seasons. 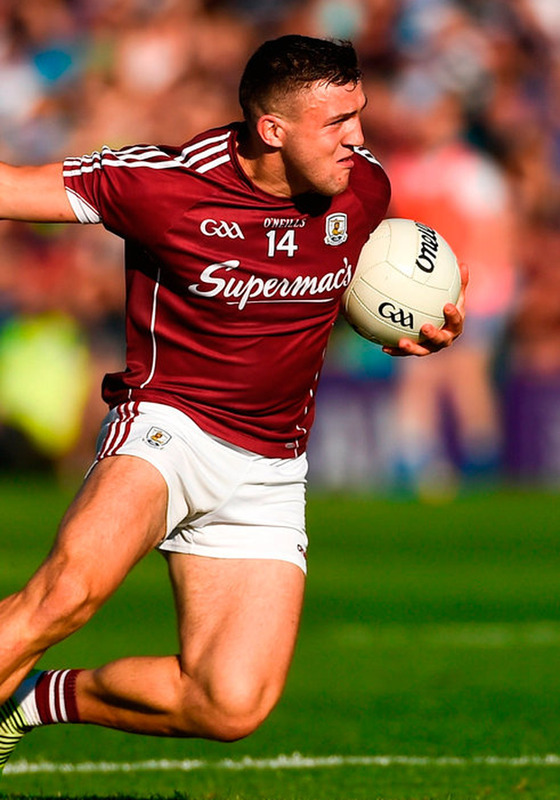 Galway awaited them in the Connacht quarter-final on May 13 this year, whereas Dublin won the Leinster title by beating two Division 4 (Wicklow and Laois) and one Division 3 (Longford) team this year. It enabled Dublin to time their training programme to peak from mid-July on, whereas Galway and Mayo had to be well primed for mid-May. Their record speaks for itself, with only Mayo (2012) and Donegal (2014) having beaten them in the championship over eight seasons. So while Dublin’s easy life in Leinster is a big advantage, it would be of little use if they weren’t able to raise the bar against the best from the other provinces. They have done that consistently, winning many of their games by big margins, but that prompts another question: how good is the overall standard? Twenty years ago, there was relatively little between Meath, Dublin, Kildare, Offaly, Kerry, Cork, Galway, Roscommon, Mayo, Derry, Tyrone, Donegal, Armagh and Down, but that’s not the case nowadays. They won four successive titles by winning seven just games, most by big margins. Indeed, the 9-29 to 1-9 win over Clare prompted the Munster Council to seed Kerry straight through to the final in 1980. It meant that Kerry had to win one game to reach the All-Ireland final. In the same season, Tyrone won three times in Ulster but were only in the final, which they lost to Armagh. It represented the ultimate in inequality that the most dominant force in GAA history could reach the last four with one win, whereas Tyrone, who had never won an All-Ireland title, needed four victories to reach the same stage. Cork were Kerry’s only concern in Munster and, even then, it was usually more apparent than real. Mick O’Dwyer loved dropping into the Cork dressing-room after Munster finals to tell them, even after a heavy defeat, how good they were. They hated it, but the great mischief-maker did it anyway. Results suggested otherwise, since Kerry beat Cork by an average of almost 10 points in the 1978-81 Munster finals. Timing was everything for Kerry. With Dublin in decline after losing the 1978 final, there was a large gap in the market for a replacement, but it took quite some time to develop. Offaly were building solidly, but didn’t reach Kerry’s level until 1982. Roscommon dominated Connacht, but got to only one All-Ireland final. Ulster was a wasteland back then. 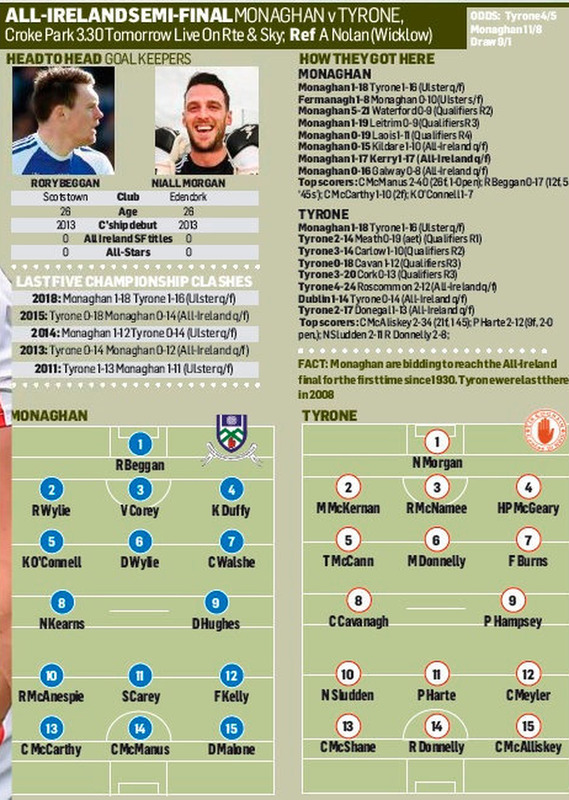 Four successive champions, Down (twice), Monaghan and Armagh lost semi-finals by an average of 14 points. Other than Roscommon, Connacht wasn’t much better as both Galway and Mayo were off the pace. So, in terms of opposition outside their own province, it’s a more competitive environment for the current Dublin team than it was for Kerry 40 years ago. 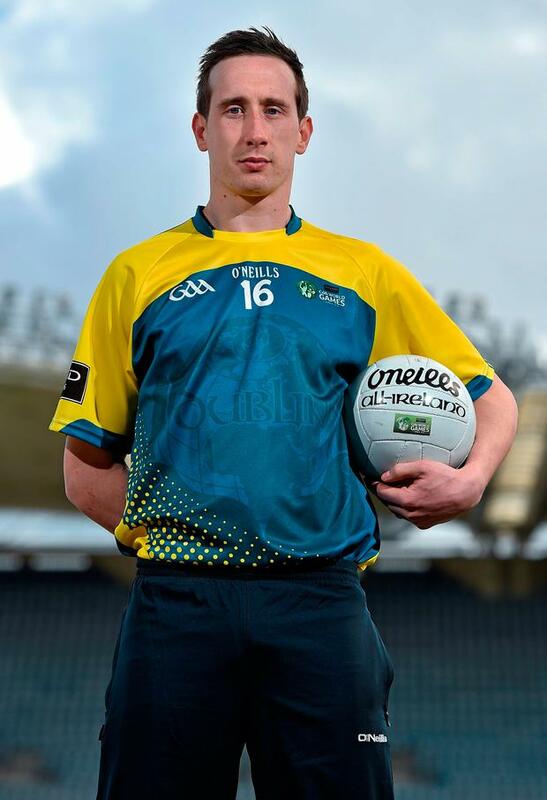 Not only that, but Dublin have an extra All-Ireland test as Kerry didn’t have to contend with quarter-finals. The game has changed to such a degree that it’s impossible to compare the players on an individual basis. It was more about individual battles for the great Kerry teams, whereas structures and systems are far more influential these days. Nonetheless, it would still be very interesting to see how the current Dublin team fared individually if it were possible to transport them in time back to the late 1970s-early 1980s. Similarly, with the Kerry team of that era if they were coached using present-day methods. Jack O’Shea v Brian Fenton; Páidí Ó Sé v Ciarán Kilkenny; Charlie Nelligan v Stephen Cluxton; Jack McCaffrey v Pat Spillane; Tim Kennelly v Con O’Callaghan; Mikey Sheehy v Philly McMahon; John O’Keeffe v Dean Rock. At first glance, it looks advantage Kerry but by September 2 Dublin could have joined them in the four-in-a-row club in an era which, outside of Leinster, is probably more competitive overall than 40 years ago. Kerry remain ahead but Dublin are closing fast.